High in the Colorado Evergreen Mountains on a quaint and quiet road lies the Brook Forest Inn, a cozy Victorian-style log and stone cabin. The motel is known for its scenery and décor, but also for being one of the most haunted places in Colorado. Stemming from a long history of paranormal sightings, the Brook Forest Inn is now a famous location to spot various ghosts and apparitions. The Inn’s history goes back to 1909 when the Westerfield family built a small cabin that still stands as the main part of the lounge and parlor rooms. By 1935 the location was designed into an Inn and opened seasonally with the addition of guest cottages and a swimming pool. 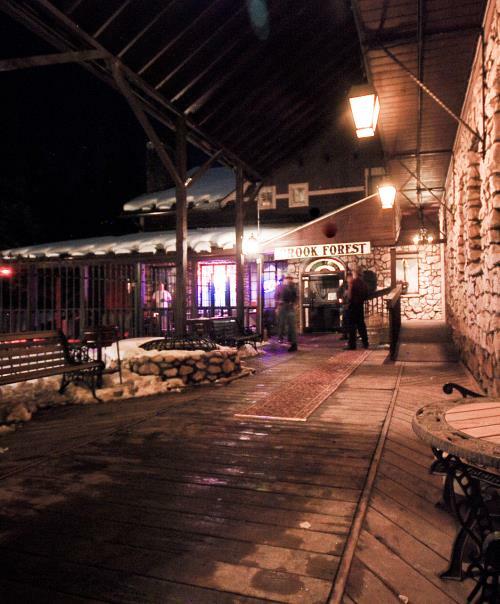 Aside from its rich locational history, the Brook Forest Inn also harbors a long series of paranormal sightings and ghost stories. One of the most famous tales known to most guests and workers of the Inn is the story of the stable hand Carl and the chambermaid Jessica. Years ago when the Inn first opened, Carl and Jessica were involved with each other romantically. That is until Carl caught Jessica being unfaithful in the hotel. Out of rage, Carl fatally shot Jessica and then hung himself the stable riddled with guilt. The two, who were obviously not at peace when they died, are known to still roam the hallways on the 3rd floor. Many of the staff have reported feeling very cold when going up the stairs to this floor. Workers say that they have felt chilling presences when in the hallway, as if someone is following them down corridors. The apparition of a woman has also been frequently seen outside the Monte Carlo Room. The ghost is believed to be Jessica the chambermaid. Neighbors and people outside of the Inn have also reported seeing figures move around on the 2nd and 3rd floors when no one would be occupying those areas. Another ghost legend of the Brook Forest Inn is that of a specter of a little boy. It is said that the child was once a guest in the hotel who was murdered by his father. It is said at late hours of the night, in empty rooms and corridors, crying and weeping from a child can be heard. Others have said they have seen a child running around the Inn, hiding behind corners. When the staff goes to check behind the corner they will of course find nothing there. Others have reported random knocks on their doors throughout the night with no one outside them. One couple who was staying at the Inn saw a small silent child standing outside of their door in the morning. When the couple went downstairs for breakfast and asked the owner whose child it was, the owner stated that there was no one else staying at the hotel at the time. 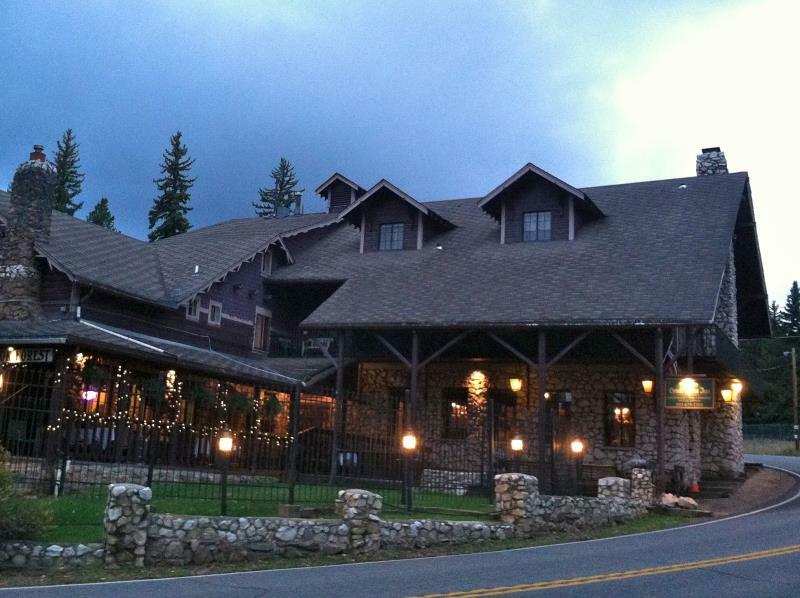 With all of these legends and myths, it’s very possible that the Brook Forest Inn is haunted. So if you’re ever in the Evergreen Mountains and feel like seeing some frightening paranormal activity, make sure you put this on your places to stay.